We can help you to choose the right stove for your home, and stock a wide selection of quality Defra approved woodburning stoves – visit our showroom in Westbury-on-Trym Bristol to take at look at our selection of stoves and pick up some brochures. We provide a Hetas approved woodburning stove installation service, and can carry out any of the following tasks if required: •Click here to book your free initial visit, survey and estimate. •The removal of your existing fireplace. 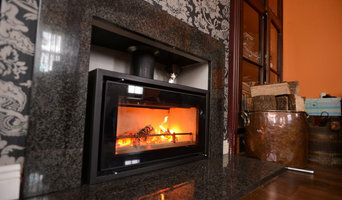 •Building works to enlarge or reduce your fireplace. •Fireboarding and making good the area ready for decoration including plastering. •Supply and fit bespoke handmade Oak Mantel (see Gallery). •Sweeping of the chimney and flue liner installation. •Cherry Picker/Scaffolding (for access). •Twin-wall factory chimney system installation and associated works. •Stove installation. •Fitting of chimney pots and anti-down draught cowls. •Supply and fit slate or granite hearths. •Chimney stack renovation work. 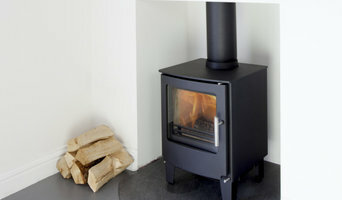 •Stove supply only or installation if you already have a stove. •A recommended local woodstore maker. •The supply of locally sourced and well-seasoned wood. •Aftercare advice and fireside accessories are available to buy in-store. •Hetas registration and fitting of carbon monoxide detector. 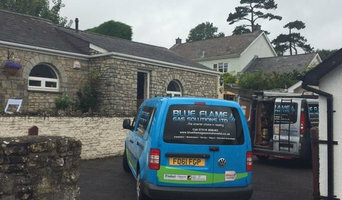 At Blue Flame Gas Solutions Ltd we have over 15 years experience and since being established, the business has grown from strength to strength. We can ensure a prompt and professional service, hence, we have developed an outstanding reputation within the local community. Email : info@sub-zerorefrigeration.co.uk Sub-Zero Refrigeration & Air Conditioning Ltd can cater to the complete supply, installation and maintenance of your commercial and industrial air conditioning and refrigeration systems. Whether you are a large or small organisation, our air conditioners can help create the right environment for you and your staff. Our emergency team is here to help you. If you are looking for an air conditioning or heat pump system, either for your home or workplace, Controlled Climate Ltd are the company to contact. With our in house design, install and service teams, we offer an extremely wide range of heating and cooling systems. We are proud to be one of the UK's top trade air conditioning suppliers and can cater for all your heating and cooling requirements, whether for home or work. Here at Cooleasy we understand that without a satisfied customer base, a company will flounder. That's why we strive to be dedicated to our clients and offer a reliable, professional and friendly service. Being part of Britain’s leading renewable energy suppliers, we are able to offer our customers competitive prices for all your heating and cooling needs, whilst ensuring your product will be cost effective and energy efficient. Although we may not always need air conditioning with our British summers, an air conditioning installation specialist will be able to install climate control systems in your home that can adjust your whole house’s temperature with a few pushes of a button. So even if we do have a midsummer heat wave, you’ll be able to keep your home refreshingly cool with Cardiff air conditioning services. For most homeowners, your central heating will be a typical gas or combi boiler and radiators set up, and you can find heating and gas engineers for boiler maintenance in Cardiff near you, with Houzz. But even if you already have your whole heating system set up, you can still use Cardiff heating engineers to install new radiators for you – you don’t have to stick with plain white panel radiators. Talk to a radiator company to discuss towel radiators, radiator covers, vertical radiators or cast iron radiators to bring a bit of style to your heating installations. If you’re building a new home or completely renovating a house, then it’s your chance to hire Cardiff heating and home air conditioning installation services to put in place your ideal climate control system. Underfloor heating is no longer a luxury reserved for the privileged few; with electric underfloor heating mats it’s simple and easy to install these days and you’ll easily find lots of underfloor heating installation services on Houzz. If you really can’t stand the heat in the summer, Cardiff air conditioning companies can install systems that will keep your home cool and crisp throughout the summer. You can choose Cardiff air conditioning services that will install individual units for individual rooms, perhaps you only want them in your bedrooms, or air conditioning companies that can implement systems for your whole house. Energy efficient homes are becoming more and more popular as we all try to become more eco friendly, and one of the best ways to save energy is insulating your house. Heating engineers in Cardiff will be able to advise you on the best way to insulate your home and the most efficient method of heating it. There are also now many digital thermostats that can be controlled remotely, so you can turn your heating off and on at the appropriate time without wasting energy when no one’s home. With a climate controlled house, you’ll also be able to only heat or cool certain rooms when necessary, stopping energy being wasted on rooms that are used less frequently. Even if your Cardiff heating and air conditioning engineer cannot advise you on insulation or energy efficiency, they may be able to put you in touch with someone that can, and even be able to recommend other contractors for related air conditioning services and heating jobs. It’s likely that you’ll be able to find photos of their previous projects, reviews and ratings from clients, right here on Houzz. Here are some related professionals and vendors to complement the work of heating & air conditioning: Specialist Contractors, Main Contractors, Solar Energy Installation, Electricians. Find HVAC contractors on Houzz. Look in the Professionals section of our website and search for Cardiff heating and air conditioning engineers. Read reviews and see previous air conditioning installations and heating installation projects.